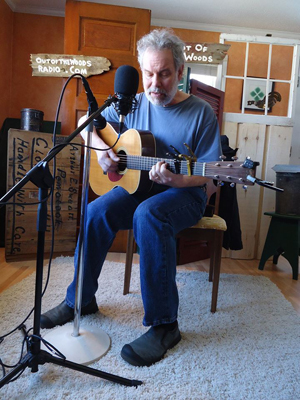 I'm still putting the finishing touches on an old recording that preceded "I Know" featuring most of the songs from that debut record with unreleased versions of those songs recorded in Nashville in November 1985. The working title is "Before Beginning". 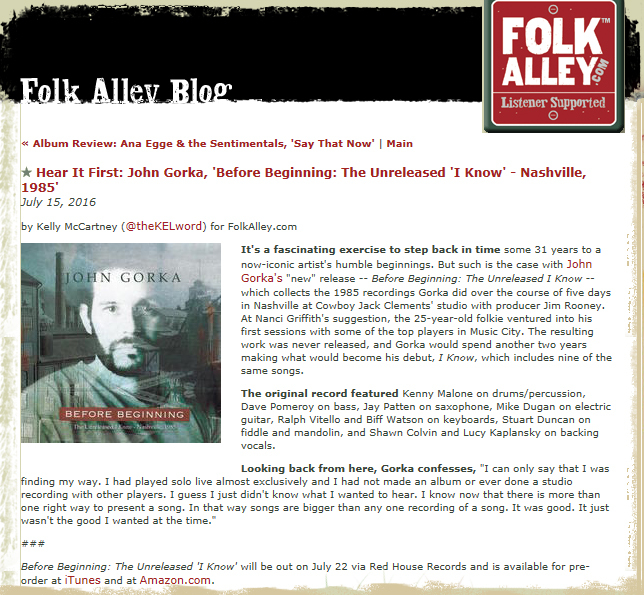 John Gorka's landmark Red House debut album I Know is not the version that most of us know. 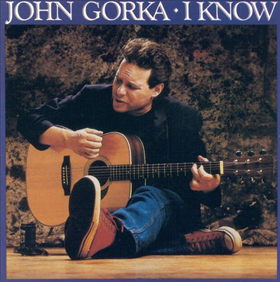 The orginal version, recorded in Nashville with a stable of studio musicians was completely scrapped and rerecorded to become the I Know that introduced the world to John Gorka. After three decades, these original recordings will finally see the light! Before Beginning-The Unreleased I Know, Nashville 1985 features never-before-heard arrangements of 9 of the 12 songs on I Know including "I Saw a Stranger with Your Hair," "Love is Our Cross to Bear" and "Geza's Wailing Ways," a track released in 1983 on a Fast Folk compilation. 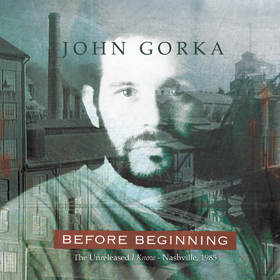 Before Beginning is a quintessential album for any folk fan's John Gorka collection. Release Date: Jul. 22nd, 2016. 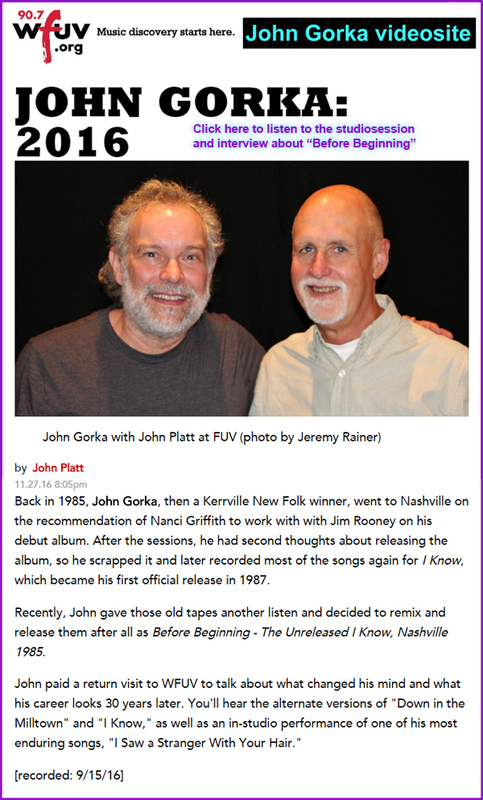 Early "I Know" 1985 Nashville tapes remastered in 2015. Click here to stream track four: "I Know" on "Red House Records Soundcloud"
"We recorded and mixed ten songs in five days in one room, everybody playing and very few overdubs. 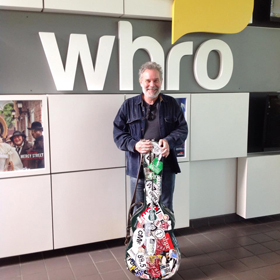 Nanci Griffith recommended to work with Jim Rooney. .
set off for Nashville to record his debut album. 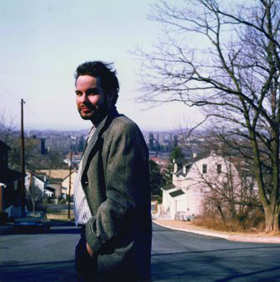 ning", The Unreleased I Know - Nashville, 1985. Kaplansky and Shawn Colvin singing harmonies. 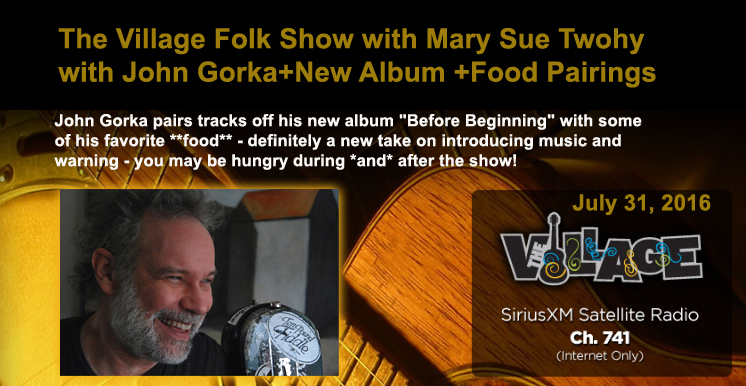 fans of John and folk music!